During the months of July and August, children enrolled in kindergarten through age 13 participate in a unique curriculum which includes fitness, creative arts, tutoring, computer technology and educational and recreational field trips. These activities promote cooperative learning, strengthening families and building community. 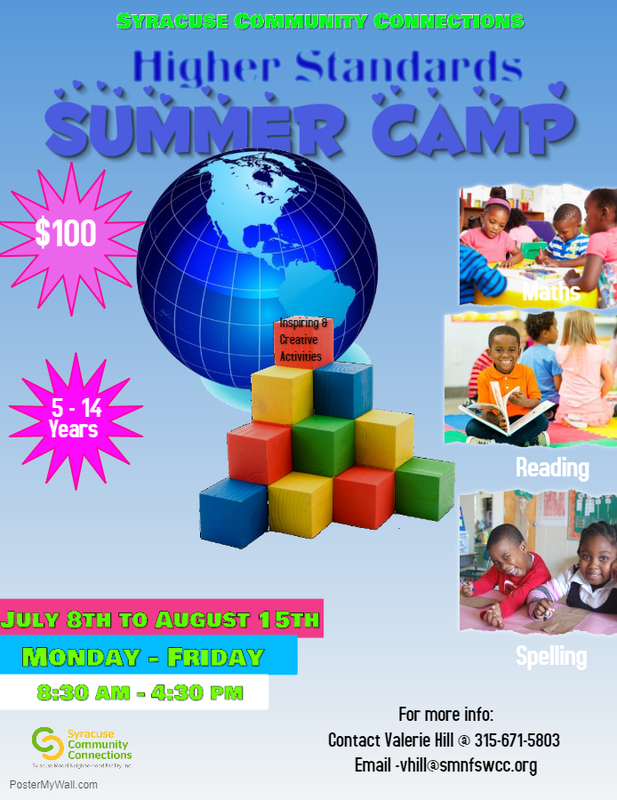 Summer camp culminates in an artistic expression of the knowledge obtained through the summer experience. Summer Camp is funded through donations, sponsorships and the New York State Office of Alcohol and Substance Abuse Services (OASAS).